In honor of WRIR in Richmond becoming the latest station to carry the Political Junkie program, the question is … Who was the last Virginian to serve as governor, a member of the U.S. Senate AND a member of the House? Last week’s trivia question was: Who was the last American presidential candidate born in France? The answer? Lowell Weicker. 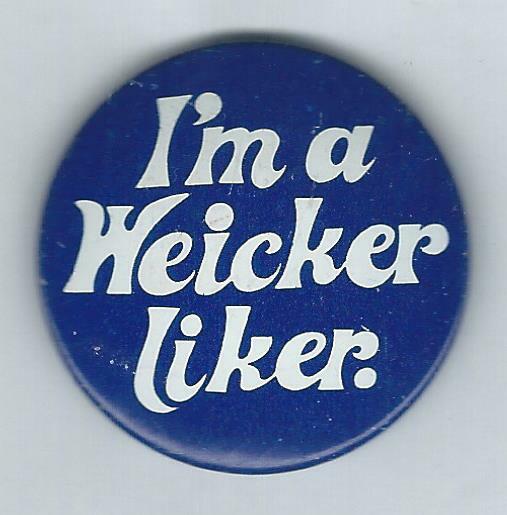 Weicker, a Republican senator from Connecticut, was a presidential candidate for all of two months in the spring of 1979. He was born in 1931 in Paris, to American parents. And the randomly-selected winner is Alyssa Poe of Berkeley, Calif. Alyssa wins the coveted Political Junkie button.